There’s no shortage of breathless hype about blockchain. What’s harder to find is a sober and nuanced discussion of the technology’s merits and drawbacks for a particular use case. For such a perspective, it can help to talk to different people at the same company who have been studying the matter and reached divergent conclusions. It’s not a secret that State Street, the giant U.S. custody bank, is looking to streamline the complex business of securities lending using blockchain. A decades-old industry, securities finance today is a continual dance of manual reconciliation, involving a string of market participants and lending parameters, all of which has become even more complicated since the 2008 financial crash. In theory, distributed ledger technology (DLT), with its shared view of the truth, removes the need for multiple processes and lots of intermediary players. But it was never going to be a simple transition – and that’s one thing at least that executives from different parts of the bank can agree on. In terms of how peer-to-peer securities lending could be deployed, people from the technology architecture and product teams are bullish about what they consider an inevitable change. From the product development side, Nick Delikaris, head of global trading and algorithmic strategies, said that “the whole industry” is looking at a peer-to-peer version of securities lending, and blockchain based solutions are definitely on the cards. Delikaris said he expects to see a mix of products and services. “Different counterparties will have different flavors, and to start with some of this tech may actually make things harder,” he said. Meanwhile, the pragmatists in the front office, who perhaps take more of a legacy marketplace position, remain wary of such a transformation. Doug Brown, head of alternative financing solutions at State Street, said he sees potential value in using blockchain to enable P2P lending of securities, but cautioned that most of the market isn’t ready for it. “If you look at that marketplace and the people who borrow securities, there are very few institutions that have the technology or the operational infrastructure in place to do that themselves today,” he said. Taking a step back, “peer-to-peer” lending in this context means a client who wants to lend securities (typically a large mutual fund or pension plan) directly faces the borrower (normally a hedge fund), as opposed to having a broker-dealer in the middle managing the whole operation. 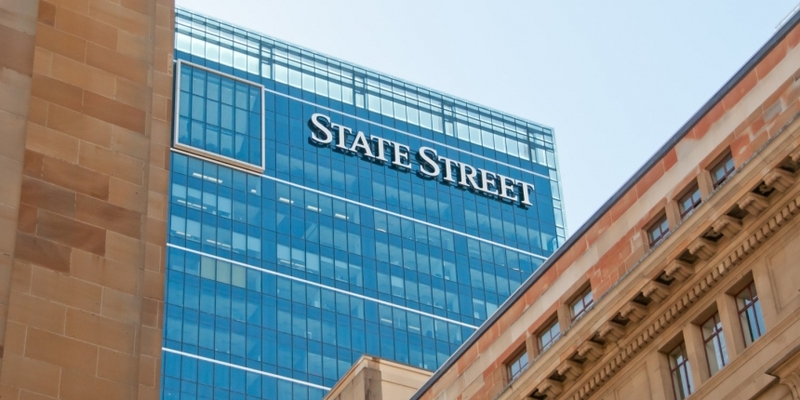 State Street has a panoramic view of the securities lending landscape; the bank has two components under its roof that most people don’t have, explained Delikaris. “We have an arm called enhanced custody, which is basically akin to a prime broker,” i.e. a provider of specialized services to hedge funds, he said. “We also have the biggest agent lender in the world,” he added, referring to State Street’s business of lending securities to institutions on behalf of its clients. This means that testing out a blockchain idea – which State Street began doing in 2016 with a proof of concept (PoC) for digital tokens to post collateral – has evolved to a point where the bank is mapping out the entire securities financing ecosystem for potential transformation. And this, in turn, has led to markedly different views inside the bank on the pros and cons. From his front-office perspective, Brown conceded a P2P model might make it a little cheaper to borrow securities, while State Street’s traditional lending clients might make a bit more on the transaction. But he also reeled off a list of challenges, and in so doing told a familiar story about the real benefits intermediaries and brokers bring to a market. Prime brokers, for example, manage all aspects of liquidity and are charged with finding substitute collateral when required to do so. In addition, going P2P without anyone in between means counterparties would need to do credit due diligence on each other. Plus there would no longer be borrower default indemnification, which is pretty much expected across the industry, noted Brown. In other words, if the borrower in a P2P transaction fails to return the borrowed assets, the lender is out of luck, whereas in today’s market an intermediary like State Street will cover the loss. “A P2P model, where everybody faces each other and negotiates contracts, where the protection is gone and both parties now need credit teams, would likely not be a broad industry solution,” said Brown. “That model might work for a small subset of institutions. But if you only had a small number of institutions participating I think it might be challenging to convince people there was enough liquidity to really move that market in a large way,” he said. However, he defended a P2P model which he said could be offered to lenders with an appetite for more risk, who might not care about the indemnity – adding that things could be priced differently because of that. “My own personal feeling is that if some things get transformed because of this technology I think what you’ll see are other products and services that will come and piggyback off that to help where those issues arise,” he said. Meanwhile, other banks are forging ahead with securities lending using blockchain, but like State Street, they expect a long transition period. Back in March this year, ING and Credit Suisse completed a live securities lending transaction using a collateral-lending blockchain application co-developed by HQLAx and R3. Francois acknowledged that market participants might be left with missing services if they moved to a P2P model, and in the event may need to outsource to the current intermediaries. Going forward, Stroemer said some assets lend themselves to DLT better than others, with securities first, then cash, and maybe gold.